Some alcohols, like wine, have been shown to offer some health benefits, but all alcohol should be consumed in moderation. One type of alcohol that you may not know has health benefits is gin. Gin was first produced in the 17th century and was originally sold as a treatment for various ailments including gallstones and gout. Back then, gin wasn’t as tasty, so juniper berries were added to the mix to make it something more enjoyable to swallow. Juniper berries are known for their detoxifying effects along with improving digestion and skin appearance. Juniper berries are packed with antioxidants and antibacterial properties, which can help boost blood circulation. Here are some other benefits of consuming gin that you may not be familiar with. Anti-wrinkles: As mentioned, the antioxidants in juniper berries can help reduce the appearance of wrinkles and make skin appear younger. Keep you trim: Gin has the lowest amount of calories for an alcoholic beverage and its main ingredient is known to improve digestion. 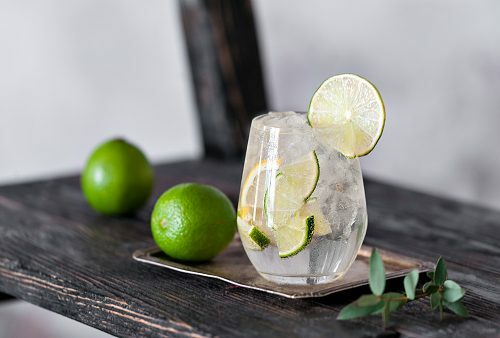 For the least calories, consume your gin with some tonic. Prevent heart disease: Juniper berries can improve blood circulation which can reduce the risk of heart disease. Just remember, excessive alcohol consumption can have the opposite effect. Detoxifying: Gin prevents water retention more than any other spirit. This allows for toxins to be released from the body. Relieve gout: Juniper’s can help relieve joint pain and inflammation which is seen in gout. It may also be wise to soak raisins in gin for a few days and consume them as a way of relieving gout symptoms. Alleviate coughs: Oils in juniper berries can help break through mucus and allows the body to expel it easier. Furthermore, it can aid in lung congestion. Ginger soaked in gin can be an effective lozenge.